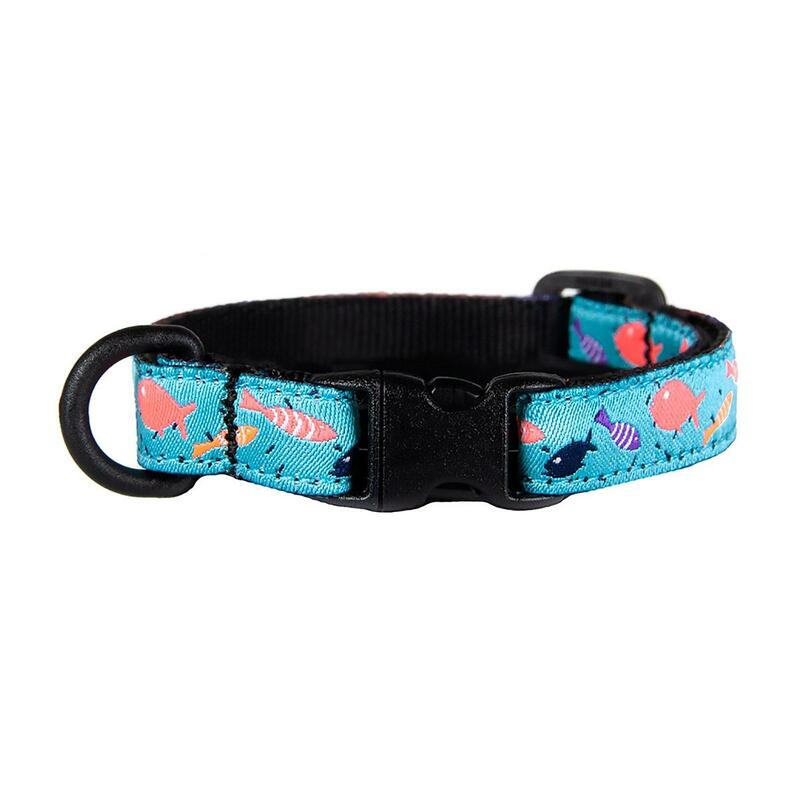 Cats will love the colorful fish on this life-saving Kitty Breakaway Cat Collar with the Shoal design! Cats get themselves into the oddest places, and so we created this collar with a quick release breakaway buckle. Breakaway collars give way if they get snagged up on something. 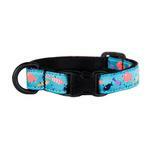 Your cat will feel fashionable with the festive fish on this cute design! Lightweight plastic D-ring for ID tags. Machine wash cold on delicate cycle. Do not wash with touch fastener items. Hang to dry. Do not iron, do not bleach, do not dry clean. If needed, presoak in an enzymatic cleaner like Nature's Miracle.